Gold’s rally above $1,900 an ounce shows no signs of a “bubble” as central banks continue to boost money supply that has helped spur bullion to a record, according to investor Marc Faber. Gold climbed to a record $1,921.15 an ounce on Tuesday, underscoring Faber’s contention that declining equities and weakening currencies will support demand. Speculative buying had pushed the gold market into a “bubble that is poised to burst,” Wells Fargo & Co. analysts led by Dean Junkans said in a report last month. “I’d buy every month a little bit of gold,” Faber said. Manufacturing slowed in the US Europe and Asia, adding to signs of slowing global growth that may force central banks to step up stimulus measures. The Federal Reserve completed its second round of so-called quantitative easing in June, whereby the central bank purchased $600bn of Treasuries from November 2010, after injecting $1.25 trillion in the first round. Goldman Sachs Group Inc. and Citigroup Inc see the Bank of England restarting bond buying as early as this week as the economic recovery weakens and bank- funding costs increase. Holdings in exchange-traded products backed by gold rose to a record 2,217 metric tons on August 8, and stood at 2,142.4 tons as of yesterday, Bloomberg data show. Trade volume in Comex gold futures and options rose on August 24 to a record 593,405 contracts, according to Jeremy Hughes, Singapore-based spokesman of CME Group Inc.
Gold is in the 11th year of a bull run, the longest rally since at least 1920 in London, as investors seek to diversify away from equities and some currencies. It climbed to records priced in euros, Swiss franc, British pounds and Canadian dollars on Tuesday on speculation that Europe’s debt crisis will worsen, damping economic growth and driving investors to protect their wealth. Futures in India and China, the world’s two largest consumers, touched all-time highs. Spot gold lost 0.4 percent to $1,893.50 an ounce as of 10:28 a.m. London time. 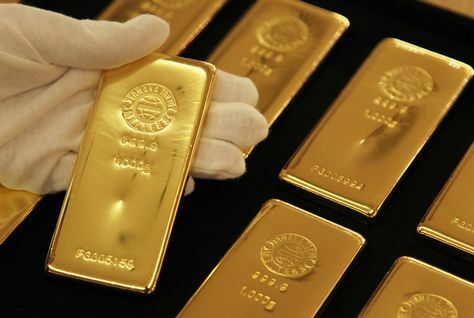 Gold is up 33 percent this year, outperforming global stocks, commodities and Treasuries as investors bought more bullion and central banks added to their reserves for the first time in a generation. The MSCI All-Country Index of equities has dropped almost 11 percent this year, while the dollar has shed 5 percent against a basket of six major currencies. Treasuries returned 8.1 percent this year, according to data from Bank of America Merrill Lynch. Still, gold prices may slump as much as 30 percent from a record as the dollar “outperforms” its counterparts, damping demand for bullion as an alternative currency, Stanley Crouch, the chief investment officer of Aegis Capital Corp., said August 24.